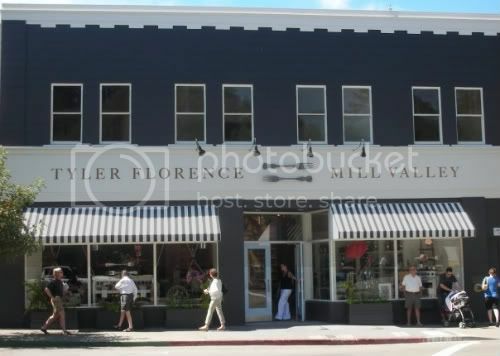 Breaking: Tyler Florence is the victim of a robbery! Somebody get Food Detectives' Ted Allen on the case! 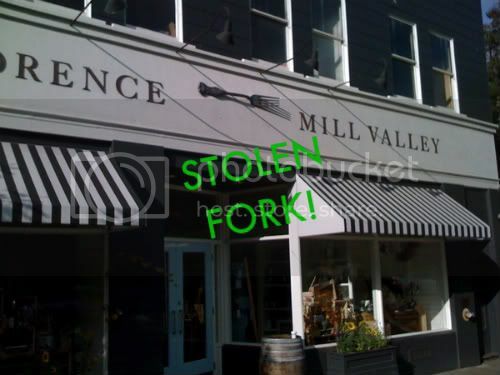 Tyler recently sent a tweet that read: All right guys, some one stole one of the forks off the front of my shop. WTF? Tyler's kitchen store in Mill Valley, Calif. is normally adorned with two giant forks. Desperate to get the fork back, Tyler tweeted: "REWARD OFFERED FOR SAFE RETURN OF MY BIG FORK. So stop forking around and bring it back!" No, Tyler doesn't use the fork to eat (although that "ultimate" meatloaf could use the assistance of a giant fork), but I can understand why he'd want it back. So be on the lookout, you San Franciscans! If you see giant tines popping out of someone's coat, alert the authorities! People- visit the food network humor blog for the BEST photos with the fork an wher it may end up. That's almost as good as when teenagers stole the Newport Creamery cow on top of the ice cream shop in Rhode Island. foodnetworkhumor.com has the most hilarious photos of where the fork ended up. laughed myself silly. Foodnetworkhumor must not being getting many hits if they have to continually post links on this site. Anony 6/12 1:36, Food Network Humor ISN'T posting links on this site. And they're getting way more hits than this site. Check Alexa. Poor Tyler. He is going have to offset his loss by raising his prices, which I hear are frickin ridiculous. I am going to have to stop in next month to check it out myself. Actually...it's just a theft (but depending on the value of the fork (or the background of the thief) could be a felony. Generally, burglary requires entering, robbery taking from a person.